to fall. The background is from my Autumn Boothouse package. and was a perfect match for this lovely fae in fiery orange. and is perfect for this crimson autumn fae. color facets of the autumn tide that everyone looks forward to. 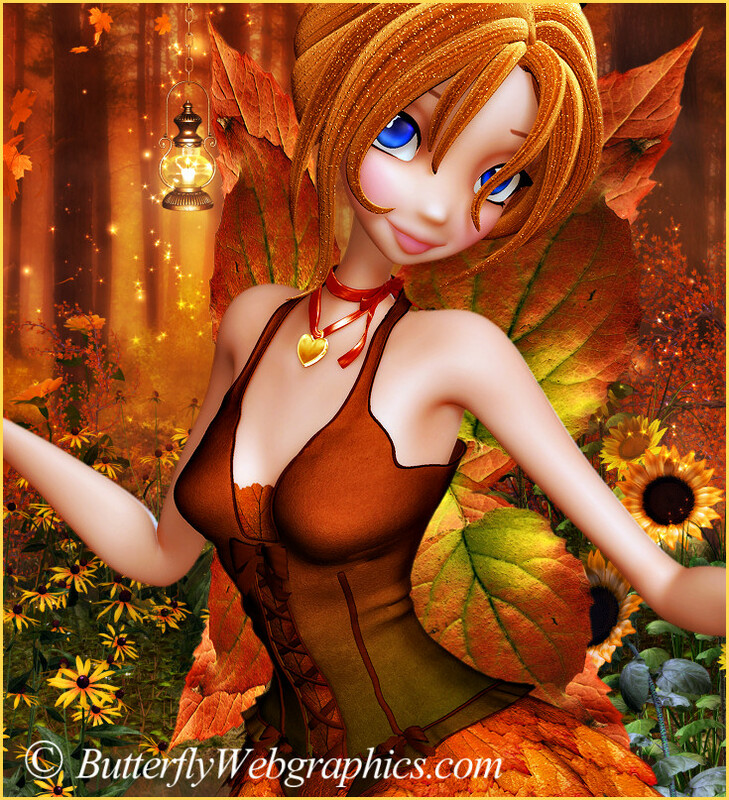 Whimsical autumn Fairies for your designs! Turn autumn into a glorious festival of light, warmth, and color with the help of these Star Autumn Tide Fairy graphics. In fiery orange, crimson, and gold, these stunning fairies will turn your fall designs into nothing short of eye candy. Many customers have told me how much they love these fairies. And I quite agree. I love them too! They’re certainly one of my all-time favorites. 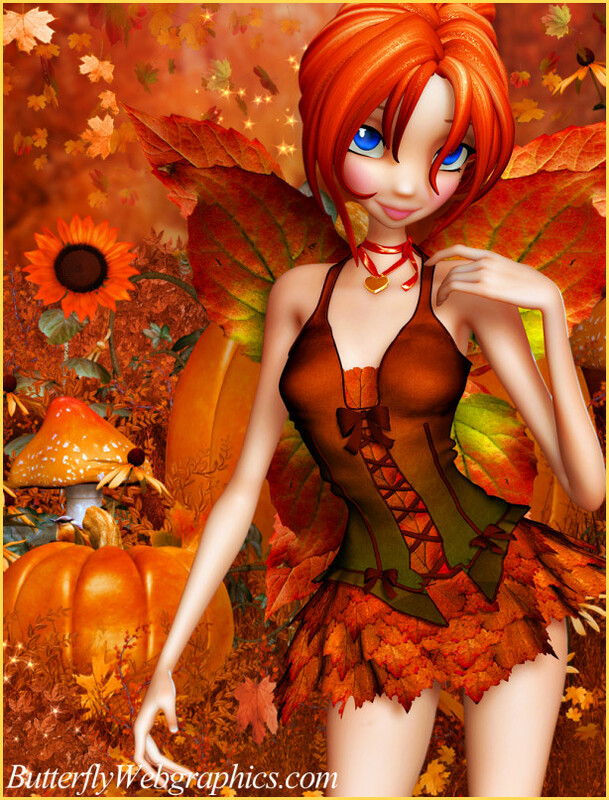 Anyone who loves fall will love these fairies as well. And they’re so easy to work with. Simply drop them into an autumn background, or use one of my autumn backgrounds, for a dazzling and festive design. That’s what I did to create the promo images. 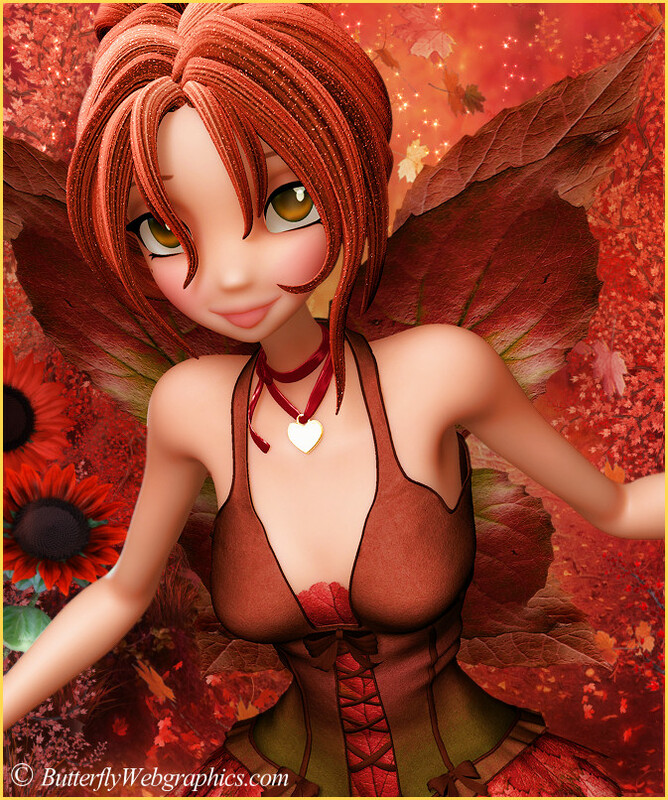 I simply added the fairies to a background from my “Boothouse” package, adjusted the colors and brightness a bit, and voila, I had a stunning fall image. Or they could be used to lavishly embellish a scrapbook, be featured on a harvest card, tag, or other design project. However you use them, they’ll capture attention. Who doesn’t yearn for the beauty and majesty of fall? The size of these images varies, but they are approximately 800 X 2000 pixels pixels. All are 300 DPI, making them great for print projects. This package is one zip file, which is about 50 MB. Your graphics have become an integral part of my holidays. I don’t know what I would do without you. Keep up the good work. Thank you. Your input is very important to me. And thanks for being a long-time subscriber. I appreciate your support. Have a wonderful holiday season! The most beautiful fall fairies I have ever seen!! !